One of my biggest fears out here. I understand the reasoning behind 'going company' however after talking to multiples of company and lease drivers, seems the majority of the company drivers have averaged 1600-2000 miles a week. With the nickles and dimes taken out of each paycheck (psd 'loan', sleep apnea test, whatever you need for your truck, twic, passport, health/medical/vision/life/dental, not to mention your regular tax deductions) I am weary of spending 70 hours a week to take home $400 lol. Thus part of the 'on the fence' deal. Just weighing everything out. Plus coming into winter won't help with miles. TNT at Prime is terrible and is one of my big complaints about them. With that said, it gets so much easier once you're solo. You'll be able to run your truck as how you see fit provided you meet appointment times. Go company if you're just coming out of cdl school. You'll have tons on your plate to handle as a rookie, don't need to add a lease into that mix. If you want to go lease, wait a year or 2. Thanks! I appreciate the words of encouragement more than I can express over the internet. If nothing else, this has been an odd adventure and learning experience. I did do something that I *wanted* to do. I also realized I am either extremely homesick or I value my small town much more than I realized. I find it hard to talk to people at home as that makes the desire to go home even worse lol. So. My hopes are to stick this out and hopefully find something a bit more local after. I do like the driving. I like the trucks. I even like the truck stop atmosphere lol. I just think everything is starting to pool into a big ole bowl of homesick soup. The training has gotten better/easier. The sleeping is still difficult but also getting a little better. So. A few weeks to go before I decide if I'm going to do company or lease. Still have 15k to go. Nice! That won't take long at all. Let me tell you, everyone here is really proud of you! There is nothing like going through something like you are, to really get to learn a few things about yourself. When you finish this first phase of your trucking experience you are going to find that you are capable of achieving much more than you thought you could. Trucking slaps almost all of us in the face at the beginning. Very few people ever enter this career with realistic expectations. We try like crazy to prepare folks for what they are about to face, but it is a difficult thing to convey from a keyboard. Trucking is one of those careers that gets easier as you progress. There is just so much to learn at the onset of the career that it is absolutely overwhelming for many. That is why there are so many sad stories online of aborted trucking careers. It really does take some special people to do this job, and yet the career seems to attract a lot of people who were never cut out for the challenge. Your tenacity is proving your worth, I was so glad to see this update from you. Hang in there - you've a whole group of folks here pulling for you. We've got a bunch of dancing bananas just waiting to be released when you give us the news that you are getting upgraded to your very own solo rig. Stay the course - the challenge is great, but the final reward is even greater! Independence, adventure, and financial rewards are waiting for you. Still have 15k to go. :/ would be nice to meet up at some point! Still fairly frustrated with lack of sleep and the basic inconsiderate nonsense. I like driving, but...🤷🏻‍♀️ Trying to stick it out though. Agreed what everyone else said..stick with it and go.solo. going solo terrified me.because my backing sucked so badly. I too felt like a driving monkey used for the miles at night. Lucky for.me i made a lot.of.friends while at the terminals. Get.phone numbers of other experienced drivers you can.call for.help once.solo. I put in my phone contacts whether they drove day or night and had help 24/7. For now... have you talked about this stuff with your trainer and been clear? I know a trainee who quit the week before upgrade without talking to the trainer or FM about options. The major concern was home time and there were dedicated options once solo to get her home several times a week. When the trainer asked.questions about when she wanted to.go home.or.what shift.she wanted to.drive, the trainee would shrug and say "whatever is easier". But she already had a preference.she didn't articulate which made things difficult.for.her. the trainer was then frustrated thinking she did all she could.to.make training easier. Neither were happy in the end. When you are.driving you are.in control. Stop in the fuel.aisle.and use the restroom. If the trainer is driving speak up and ask to.stop if the trainer grumbles then so what? On the prime app there is a drop down that says "fuel book". This has a HUGE amount of info. Also, be sure to watch the various training videos on the app. Watch the weekly safety meetings. All.these things will help you feel.more.prepared. Take a walk around sprimo when you upgrade to go talk to road assist, claims and safety. When you have people you have met face to face you feel.comfortable with to ask for.answers you will feel more at ease. how many miles do.you have now? Do you have a date to head to sprimo? I have to.trade.my truck soon...wpuld be cool to.meet up. I had my enhanced license from NY prior to coming to school. Idk how swift is, if you do not have a cdl and you're getting it from another state, it may not be worth the bother. My state license was 'voided' and since I had just done my renewal and enhancement, out went $100 lol. I crossed Canada's border with jus my enhanced, no problems. It's not meant for air travel across country boundaries. I know nothing about an enhamced dl, but i am certain a fast card is a passport with limited ability to enter foreign soils. As examples: canada and mexico, no problem... England, need a passport... China, passport and visa. I hold both and a twic due to past employment. So while I like the driving itself, and don't mind traveling, I'm really feeling disenchanted with this whole TNT thing. I feel like I'm just a body in the seat sometimes with my trainer, and I don't feel like I'm actually learning anything. Mostly, I just get sent to 'do' stuff I don't know how to do and then get embarrassed because receivers, etc are asking questions I should, but don't know the answers to. I don't feel like my trainer is doing any sort of job of training me. For example, for pad time before my test, I asked other trainers for help because I couldnt 'get it' with his technique. I spent till midnight with one, and then 7-11 the next morning with a different one. For my road test, we took a pad truck out a few laps (because our truck is automatic) then the night before took it out one more time with a trailer. I had maybe 2 hours of shifting practice between psd and the few days at the pad. I am confused about the logs (am I REALLY supposed to take my 32 minute break waiting in line at the receiver, fueling, while stuck in traffic?) is it really necessary to forbid bathroom stops because 'it waste's time?' During my shift it's not uncommon to have to wait 6-7 hours to use the restroom, and if I happen to miss the trainers break to use it, I'm looking at 12+ hours. I guess I just feel like the general attitude is 'figure it out'. I feel like I'm set up for failure a lot because I don't know the answers to the questions I didn't know I was supposed to ask. If I'm just being whiny, it is what it is and my expectations were not aligned with where they should have been. At this point though, I give it another week, maybe? I feel awful that I put so much on the line for this and it really just isn't working out. I'm on TNT training now and am having so much apprehension over the backing. My trainer, unintentionally I think, makes me feel so stupid and incapable. I'm secomd guessing everything about the entire decision to come. I know there are some terrible trainers, I don't think mine is terrible, i just think I might be a little too soft 😂 Add that to the fact that I miss home, miss my dog, and have the flu, just a recipe for all of those negative thoughts. I got through the alley dock at test time by asking the Lord to park the truck, and He did so. I'm not kidding. I survived the first few months of driving with a lot of luck, a lot of patience, a lot of drive around and set up again, a couple of $10s to yard jockeys, and just perserverance. Now I can finally back into most any spot anywhere with the tandems in any location...but it took several months for me to be able to see the articulation and cope with it. My point is this: hang in there and you'll get through it. Nearly everyone has difficulty with backing at first. Just take your time, get out and look, don't hit anything, don't let anyone rush you, don't rush yourself, and you'll be fine. If you can't get into a particular spot safely, don't - find another way. Memorizing tire positions, landing gear positions, or any of that rot might help you pass the test but it isn't going do do anything for you in the real world because docks and parking lots seldom have the space to perform the setup that the tests provide. Been at Prime for 2 weeks now and my trainer feels my pre trip and driving is good enough to test. We spent 5 hours backing yesterday (straight back and offset are no poblem). Alley dock and parallel park have me so frustrated though. I can't get it. No matter what I do. Mostly, I can't seem to 'see the solution' to fixing it when I mess up. I talked to the trainer on break and was told it was no problem, sleep on the bottom. Much ado over nothing I guess lol. Thanks. I put in a ton of extra time but it was worth it. I wonder how many people just tough out sleeping on the top bunk. First off Congratulations! Not long ago you were despairing that you couldn't do the maneuvers to pass the driving portion ofvthe test. Now you've got a whole new set of problems - that's progress! You should have been given a name and number of some sort of new driver liason type person at Prime. That is the person you should call and ask them this same question. I'll bet they can get this resolved for you fairly painlessly. You can make that call privately while at a truck stop if you don't want your trainer to hear you. So I passed my CDL test and am doing team driving however the trainer has relegated me to the top bunk while the truck is in motion. I feel like I'm going to fall out and break my neck. We're going off gap between the landing n mudflap. Larger gap and im too close to the near side cone. Smaller gap and I'm too far out. I don't hike much anymore, since I'm wwayy out of shape. Rattlesnake in willsboro is a pretty, but easy hike. As is silver lake mountain. Shorter drives than the high peaks area. I sold my canoe a few years back but that said, I have friends who hike and play in the water pretty frequently. I can ask them if they would like company, be ready to do one of the 46 though 😂. I guess Giant isn't too bad, either. There's also the 'Gulf unique area' in mooers which I guess once served as a moonshine run between the states and canada. Supposedly there's a waterfall and its a short 3 mile walk. I brought my niece up last year but the bugs just about carried us away so we turned back. I'm 10 minutes from Peru and moved out of that district a year ago. I went to Peru Elementary school. haha. If you need anything, feel free to contact me! I'm in the automotive industry now. I used to be so in love with my job. Working in fixed ops has it's stresses and challenges, for sure. Sometimes, I think it's just me. I'm not a good fit for my current job. I guess I was bound to figure it out eventually. Yes, I retired and sold my business almost 10 years ago. I got burned out ...... from being retired. Like others here, I too had always liked the thought of trucking and as an added bonus, getting paid a decent amount to do it. 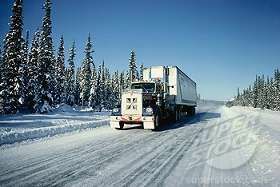 I am in CDL school and my instructor is several years younger than me yet was a 39 year veteran of the Industry. I have no trouble listening nor staying awake in his class but see some twenty somethings classmates dozing off and staring blankly at the walls. He calls them out nicely about that .... but I think I can sense a possible failure in their career choice as I know not being alert and aware is a recipe for disaster in this business. Just curious. The actual reason I started looking at this seriously, was what I felt was impending job burnout. Some 16 years after I started in this industry, I feel like it's time to close the book. Not just the chapter. The whole darn book. At one point I was somewhat revived by a promotion to management, but ultimately in my gut I know it's time. It's bittersweet for me. So many years I spent sponging up as much information as possible. I did weight watchers for a long time and did fairly well on it. I still struggled a bit with weight loss, my doctor suggested a diet based around less grain and more 'whole food' type items. I have a family history of diabetes and heart disease and he felt cutting out starches and sugars was a good idea. His suggestion was more towards a Mediterranean style diet, but I tend to shy away from grocery store fish. Weight watchers was great, but harder for me to maintain. With the keto diet, I rarely worry about calories and as long as my choice is 'healthy' I don't fret much. I still avoid the processed meat. And I don't follow it strictly. If I feel like having an apple, I eat an apple. lol I just don't view pastries and pasta as part of my meal options. I would recommend Weight Watchers to anyone who has the discipline to track what they eat. Unfortunately, it feels like work to me. Work that I don't like haha. I remember when they had the 'core' plan, it was very much like keto in the whole food aspect. That was my plan of choice until they discontinued it. Does anyone follow a Low carb or ketogenic diet? I have followed a ketogenic diet for about a year now, on and off. I lost about 40lbs. Felt great. It's a high fat low carb moderate protein diet. Not the high protein atkins diet. I stopped because I read stories about people failing breathalyzers or ketones in urine suggesting health problems...etc etc. and once I knew I wanted to get into Trucking I was afraid that, my luck, I would end up one of those handfuls that have a bad experience due to the diet itself. Just wondering if anyone else follows that way of eating? I miss it and how good I felt (plus I love avocados, so, there's that). Game: How many Springfields have you been to? When I first saw companies offering training in "Springfield" I thought immediately of Massachusetts. Hey they have tons of dog shows there... And the only other springfield I know is in VT. Turns out, no CDL facilities in those towns. Well, shoot.